A true connoisseur variety, Spigold is an apple of the highest quality and flavor. It is not a true heirloom apple, being released by the New York Agricultural Experiment Station in 1962, but is an apple that should be included in all home orchards. 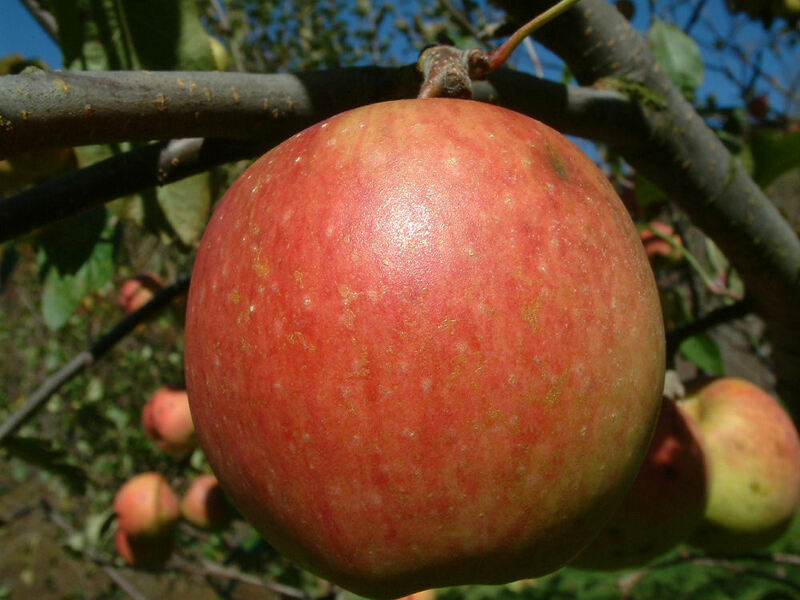 A cross of Northern Spy and Golden Delicious, Spigold combines the best of both varieties. Fruit is large with smooth, reddish and bronze striped skin. Crisp, juicy and very aromatic. Ripens September to October and is a fair keeper.